A lot of cities and communities are interested in effective and prominent information facilities to communicate directly to their visitors and residents. Q-lite LED displays offers cities and communities the possibility to communicate with people passing by in a clear and direct way. 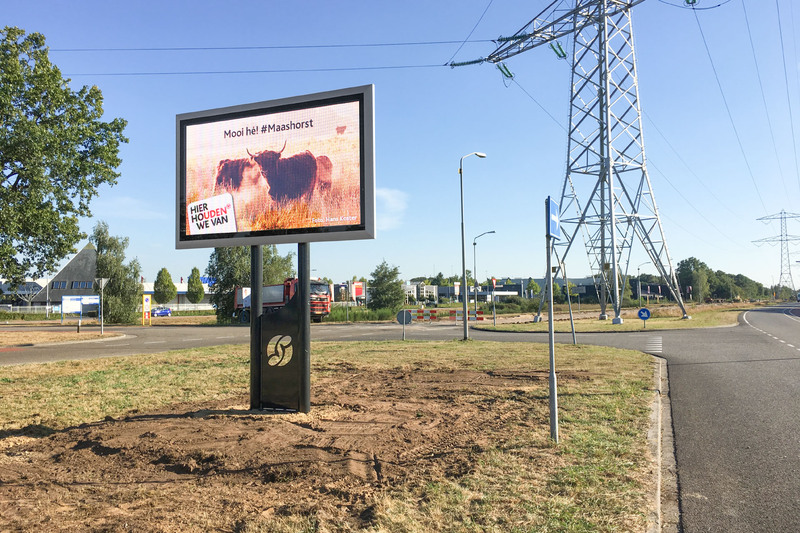 The numerous LED text line displays which have been installed throughout The Netherlands, Belgium and France are proof that these displays are a simple and efficient product to communicate with the immediate surroundings. The Q-LED TV series is our most recent product line of full colour LED displays which offers cities and communities the opportunity to show eye-catching and modern images. The Q-LED TV can be made in a portrait or landscape version and is available in different (inch) sizes. The displays are built in a sustainable construction which allows you to upgrade the resolution at any given time for a minimal additional investment. Q-LED TV displays are purchased by many cities and communities with or without the revenues of local commercial advertising.